Renewable energies are still not competitive with traditional energy sources. 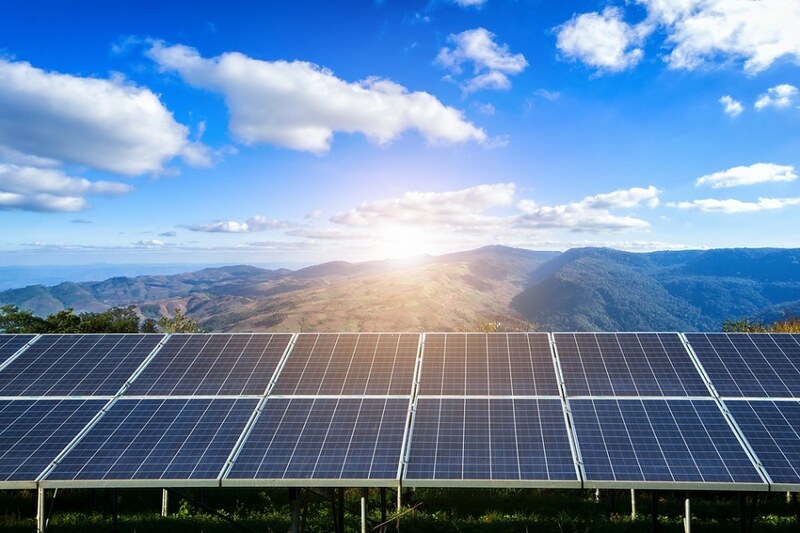 With the discovery of a new flow battery for storing intermittent energy, researchers from the John A. Paulson School of Engineering and Applied Sciences at Harvard have come a great deal further in closing the gap. Using stable and water-soluble electrochemical reactants, they developed a battery with exceptional stability resulting in vastly reduced costs. Renewable energies, such as wind and solar, face the challenge of storing the yielded energy until it is needed for consumption. One promising solution for the storage of so-called intermittent energy are flow batteries, which collect the energy in external tanks in the form of liquid solutions. Until now, however, many flow batteries have exhibited a striking disadvantage: They lose their storage capacity after many cycles of charging and discharging. The capacity can be re-established, but this requires a regular change of the battery’s electrolyte. Researchers from the Harvard John A. Paulson School of Engineering and Applied Sciences (SEAS) have now developed a flow battery with extremely high cycling stability, circumventing the periodic maintenance. Together with their co-workers, professors Michael Aziz and Roy Gordon were able to produce electrochemical reactants that are water-soluble and chemically stable. This approach led the scientists to engineer a battery that only loses one percent of its capacity in 1000 charge/discharge cycles and can last more than a decade. Aziz comments: “Lithium batteries don’t even survive 1000 complete cycles”. The invention comes with more benefits: Because the electrolytes are based on water with a neutral pH, you could put this long-lasting battery in your basement, according to Gordon. The non-corrosive medium is both safer to handle and allows for using cheaper materials as battery components. For example, instead of expensive polymer membranes, cheap hydrocarbons can be used as separation layer for the two battery sides. To be able to make cheap batteries for storing renewable energy is an important point. So far, renewable energies are hardly competitive with fossil and nuclear energy sources. But this could change if the cost of storing wind and solar energy decreases. Therefore, the Department of Energy (DOE) in the United States has set a goal for the cost of energy storing batteries: less than $100 per kilowatt-hour. If you can get anywhere near this cost target you change the world. This research puts us one step closer to reaching that target. Flow batteries are based on two different electrochemical reactants, typically redox-active compounds that are dissolved in separate electrolyte solutions, one acting as the positive electrolyte and the other as the negative electrolyte. The electrolytes are circulated through the electrochemical cell, and during charging, electrical energy is converted to chemical energy by way of oxidation and reduction reactions of the reactants. During discharging, chemical energy is converted to electrical energy and the reactants undergo the opposite redox reaction. Eugene Beh, the first author of the paper and postdoctoral research fellow explained that their approach was based on first understanding why commonly used reactant molecules degraded so quickly in pH neutral solutions. In the next step, they changed the molecular structure of viologen and ferrocene, two promising reactants in flow batteries. By functionalizing the molecules, the researchers succeeded in making viologen more resilient and ferrocene water-soluble. Ferrocene is a favourable molecule for storing charges but could so far only be used in batteries with organic solvents, which are both expensive and less safe. “Aqueous soluble ferrocenes represent a whole new class of molecules for flow batteries,” said Aziz. The development of a safe flow battery with a life span unseen until now and significantly reduced price, is great news for the expansion of renewable energies. The researchers from SEAS who have applied for patents for their findings in flow battery technology, are now working on implementing the new battery design in industrial applications together with several companies. Burrows, L. (2017) Long-lasting flow battery could run for more than a decade with minimum upkeep; available at: https://www.seas.harvard.edu/news/2017/02/long-lasting-flow-battery-could-run-for-more-than-decade-with-minimum-upkeep. Beh, E. S., De Porcellinis, D., Gracia, R., Xia, K., Gordon, R. G., Aziz, M. (2017) A Neutral pH Aqueous Organic/Organometallic Redox Flow Battery with Extremly High Capacity Retention, ACS Energy Lett., doi: 10.1021/acsenergylett.7b00019.